It was no cooler for sure. 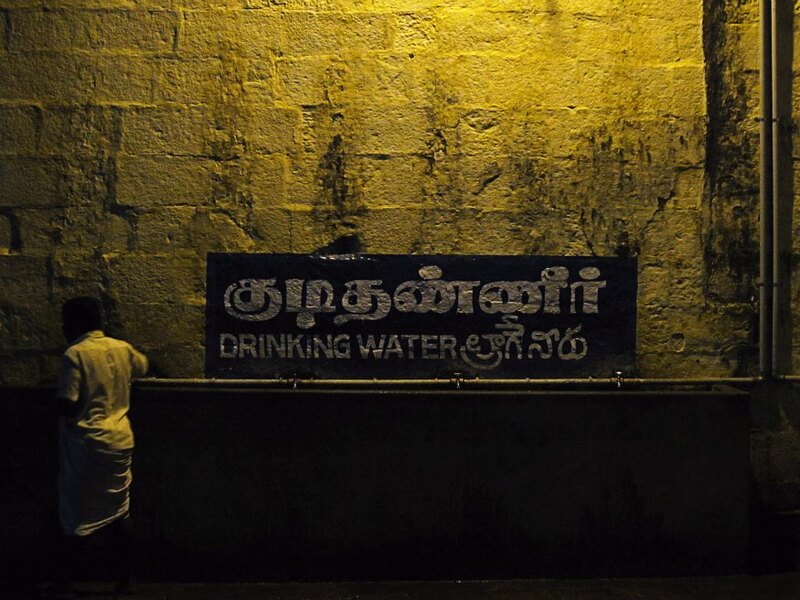 Warm water came out of those taps at the Srirangam Temple. It was nightfall and the scanty lights wound up giving a sepia tone to the picture. This man came by to offer help to a kid that couldn't reach the tap.Would've caught that too, had my camera not died on me that very instance (and the carry-extra-battery lesson is learnt). The Srirangam temples are magnificent structures with epic detailing, that would probably take more than a day to capture in photographs. On my to-visit-again list.